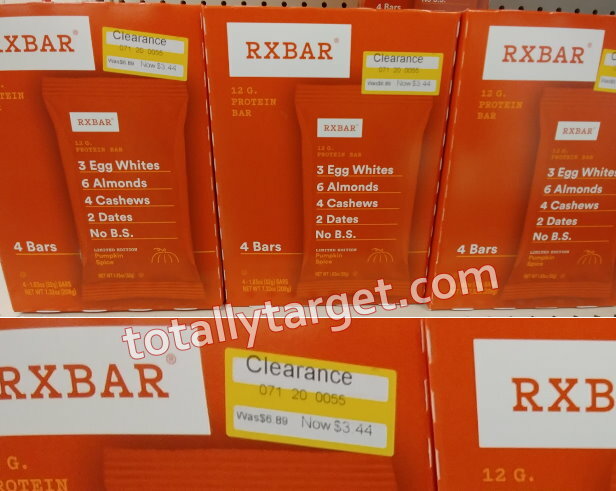 There’s been lots of clearance on all things Pumpkin Spice at Target lately, including these 4-Pack limited edition Pumpkin Spice RXBars which are as much as 50% off and as low as $3.44. We have a stack plus a high-value rebate offer to make for a great deal…. –SAVE $1 on any THREE (3) RXBar Products or Nut Butter Packs. You can also grab a very nice deal on the RX Nut Butter Packs at Target thru 1/12. You can check out my post HERE for details.